← The almighty CRISPR-Cas9 technology: The future of conservation? In a new review, Eldon and co-authors (in press) attempt to build a bridge across the chaos of genetic patchiness in the sea. They i) describe the patterns characterized as chaotic genetic patchiness, ii) discuss the potential causes of these patterns and iii) outline issues and perspectives for the future. The original pattern described by Johnson and Black (1982) is still relevant today in which spatial patterns of genetic differentiation do not fit the typical isolation by distance model whereby differentiation increases with distance. 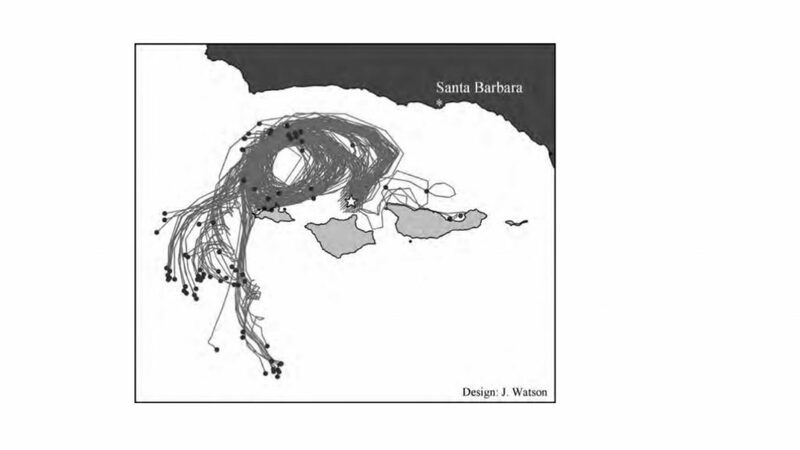 Rather, as is often the case with larval dispersers, spatial differentiation fluctuate rapidly across time, such as from one generation to the next. surprise and interest in chaotic genetic patchiness come[s] from the fact that genetic structure is observed at a scale where theory predicts that gene flow should completely homogenize neutral genetic variation across post-dispersal individuals. But, what is the scale of gene flow and how do we start comparing across marine organisms? It is often difficult to quantify the spatial scale at which we can expect to see patterns of chaotic patchiness for marine fish and invertebrates. Theoretical models that predict these patterns are yet to be introduced resulting in a lack of quantitative estimates of what should have been observed in theory. Different studies use different sampling strategies (i.e., different genetic markers and different ways of sampling the species themselves) and genetic diversity and structure metrics (e.g., Fst vs Jost’s D). A chaotic effect of diversifying selection: post-larval settlement selection under different environmental conditions, such as on rocky intertidal shores. Sweepstakes reproductive success: there’s high variance in mortality among cohorts with broadcast spawners. There’ll be some winners and some losers. Collective dispersal: dispersing with a group of individuals results in reduced power of gene flow to mix up genetic diversity. Phenology differentiation: This leads to asynchronous population dynamics. found that selection can be responsible for locus-specific signatures while genome-wide patterns are more parsimoniously explained by several neutral processes (sweepstakes reproductive success, collective dispersal, and asynchronous population dynamics). This paper provides great food for thought and a lot of ideas about CGP all in one digestible unit. Following its original description from a marine invertebrate, chaotic genetic patchiness has since been discussed almost exclusively in the field of marine biology. As [they] have detailed above, this could be due to the fact that this genetic structure is linked with peculiar life-history traits found in marine species. Yet one might ask whether the particular combination of evolutionary forces that shape these patterns could be observed in other, terrestrial systems. I’d add, what about other marine organisms without a larval stage as well? They mention seagrass, but what about patterns generated in algae that also have peculiar life-history traits? My sneaking suspicion is that algal data sets are much smaller in number than fish and invertebrates, but that should be another reason to apply population genetic and genomic techniques with these important primary producers. Johnson & Black (1982) Chaotic genetic patchiness in an intertidal limpet, Siphonaria sp. Marine Biology 70:157–164. This entry was posted in evolution, genomics, mutation, natural history, next generation sequencing, phylogenetics, phylogeography, population genetics, selection and tagged Chaotic Genetic Patchiness, dispersal, gene flow, marine. Bookmark the permalink.